Start Promoting Your Hashtag Now! We keep harping on about how important it is to promote your social media campaigns to get people to use your hashtags. Well, here are 21 methods for promoting your social media campaign — online and offline, paid and unpaid — which you can use to let people know about your hashtag. A dedicated landing page or microsite for your campaign is the perfect place to explain what your campaign is about, why you want people to use your hashtag and what they can gain from using it. Create a simple one-pager to explain the basics, ask for user-generated content and show off posts with an embedded social media wall. Make sure your campaign page is mobile-friendly, so you can easily link to it from anywhere. 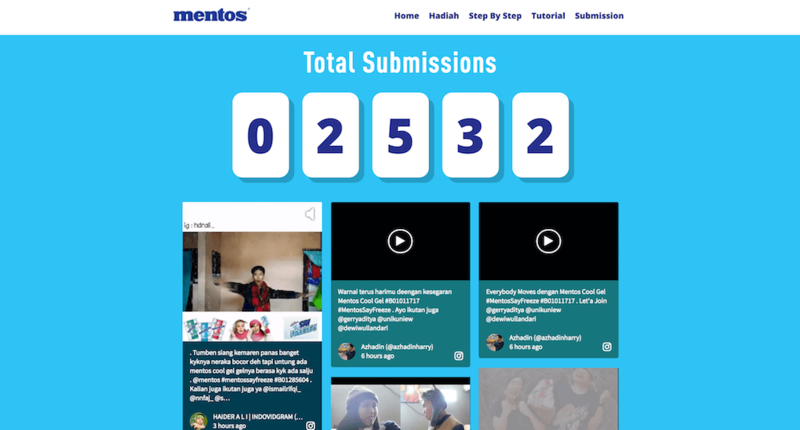 Mentos Philippines has created a dedicated microsite for the Mentos Say Freeze campaign. The one-pager explains the campaign, how to take part and what people can win in the contest. The Mentos Say Freeze campaign site also includes an embedded Walls.io social media wall that shows all submissions so far. Use a popup or notification bar on top of your website to point your current campaign out to regular website visitors. Link to your campaign page so they can find out more! It’s a great way to remind people about a campaign you’re running. If you have a blog attached to your website, write about your campaign. Introduce the campaign and hashtag, share behind-the-scenes information and post regular updates about the campaign. Keep readers interested and include clear calls-to-action to get them participating. Your newsletter is a great way to reach people who might not yet be interacting with you on social media and tell them about your hashtag campaign. Introduce your campaign in a newsletter and motivate readers to participate. Add sharing widgets to your website, your campaign page, your newsletter and your blog posts to make sharing as easy as possible for visitors. Seriously, link to it from everywhere. Set it as your Instagram profile URL — perfect for those “link in profile” posts —, include it in your Twitter bio, your Facebook page profile, your newsletter, your blog posts, your Pinterest posts, your LinkedIn articles, etc. Use an image connected to your campaigns as your Twitter and Facebook cover images. Prepare visual content for our campaign in advance. Create promo visuals for your campaign and save them in different formats so you’ll always have the perfect image at hand whether it’s for a Facebook header, a Pinterest post or your Twitter avatar. Regularly post about your campaign on all your important social media channels and keep using your hashtag, of course. Retweet and share when others post about your campaign and use your hashtag. Produce videos specifically geared to sharing on social media — something short, shareable and ideally something that works without sound as well. A great example for native videos are those Buzzfeed Tasty videos popping up everywhere on Facebook. Include your hashtag in the video and a clear but unobtrusive CTA so people know where to go to learn more. This McDonald’s FIFA ad from 2014 does a nice job of incorporating the link to the campaign page into the video itself. Post your video directly on Facebook, Instagram and Twitter, instead of just linking to a YouTube video. Native videos perform better than third-party embeds. Don’t just talk about your campaign on your own blog. Get in touch with other people and brands who might agree to let you write a guest postonr their blog where you can plug your campaign. While social media is a great way to promote your campaign, never underestimate the impact of also sharing it in communities you’re a trusted member of. Whether it’s a Slack community or a Facebook group, members are often happy to signal boost other members’ projects. Just take care to adhere to the rules when sharing something. Most interest-based online communities have a set of ground rules for what, when and how often you should plug your projects. Take advantage of social media networks’ excellent ad targeting features. Create ads for Facebook, Twitter, Instagram or Pinterest to draw attention to your campaign. Is there perhaps a popular podcast that you share a relevant target group with? Consider becoming a podcast sponsor or try to get on the show as a guest. Strike up a collaboration with other brands and promote each other’s campaigns, products, etc. Influencer marketing requires a steady hand and fine interpersonal skills but can do great things for brands. Identify and reach out to influencers with whom a relationship could be mutually beneficial. Your campaign might be a social media campaign but that doesn’t mean it can’t benefit from some cross-media marketing. While advertising in stores doesn’t automatically fit for all brands, it can be beneficial, for example, if you have a product. Speaking of which… if you have a product, slap your hashtag on the packaging and get people interested in your campaign. If it’s within your budget take your campaign out into the world on billboards, posters and other on-street advertising media. Remember to put your hashtag on it to turn your ad into a call to action. Some brands do really well with guerilla marketing via street art. It can be great for a brand’s image as long as it’s done right. So before you go for guerrilla marketing, make sure it’s legal and that you’re not being tone deaf. It’s easy to discard print media as useless in an online world but a well-placed and well-designed ad in a magazine or newspaper can do the trick for hashtag campaigns as well. Similarly, consider TV and radio ads if it’s within your budget to do so. Go all out and print your hashtag on flyers, buttons and stickers. Hand them out for free on the street, at meetup groups or other events, depending entirely on where you usually find your target group. 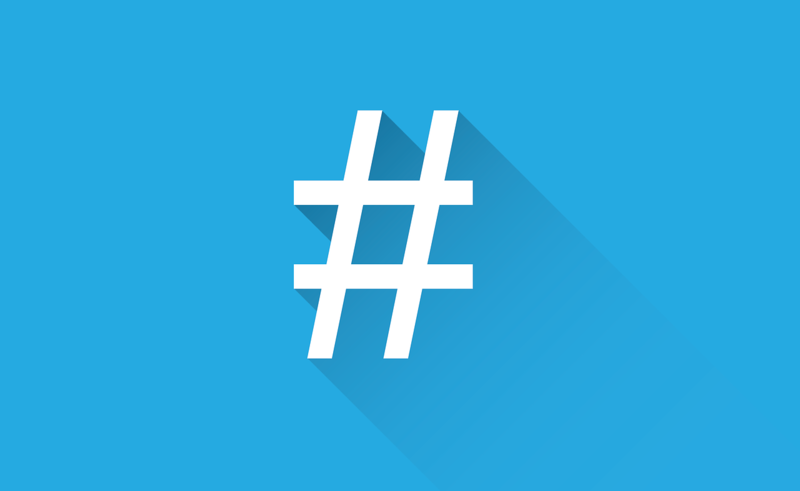 You’ve got 21 ideas to get you started with promoting your hashtag campaign. Obviously, this does not cover every marketing tactic available on this planet. So if you have anything to add, do let us know!